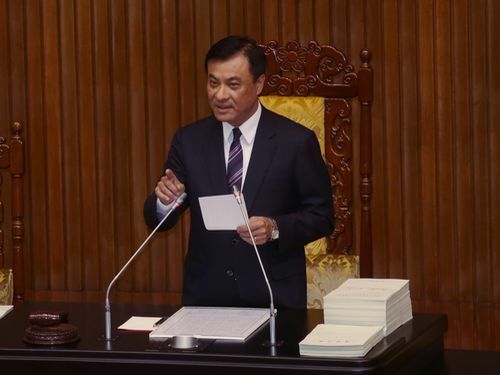 (TibetanReview.net, Sep08, 2016) – Legislative Speaker Su Jia-chyuan of Taiwan has indicated Sep 6 that the country’s parliament, the Legislative Yuan, would welcome the Dalai Lama when told that Tibet’s exiled spiritual leader was enthusiastic for a visit. The Legislative Yuan will always welcome people from any country if they are willing to help spread democracy and freedom, Taipei Times Sep 7 cited Speaker Su as having said. Any decision to allow such a visit will, however, be difficult for President Tsai Ing-wen who is already under considerable pressure from China for her failure to endorse the so-called one-China policy. Even former President Ma Ying-jeou could only allow one visit by the Dalai Lama under a special circumstance after Taiwan was hit by a devastating typhoon even though he endorsed the one-China position and was welcoming of the Tibetan leader during his term as Taipei’s Mayor. “The Legislative Yuan very much welcomes those who facilitate the promotion of democracy and freedom,” Su was quoted as saying when told about a lawmaker’s invitation to the exile Tibetan spiritual leader to visit and speak at the legislature. These refer to the Dalai Lama’s reported remark on Sep 5 that he would be glad to visit Taiwan again after New Power Party (NPP) Legislator Freddy Lim asked him during a trip to India to speak at the Legislative Yuan. Democratic Progressive Party (DPP) Legislator Kolas Yotaka, who also visited the Dalai Lama with Freddy Lim, was cited as saying the Dalai Lama supported President Tsai Ing-wen’s public apology to Taiwan’s Aborigines on Aug 1, saying people should seek to resolve conflict and avoid extremist or radical criticisms. Yotaka has also said the Dalai Lama was concerned about the rights of residency of Tibetans-in-exile in Taiwan and openly praised the Tsai administration’s proposal to abolish the Mongolian and Tibetan Affairs Commission, which has been a source of friction within the exile Tibetan community for decades due to its sponsoring of disgruntled Tibetan groups.